Montana is the West. It’s gritty and has beautiful wilderness. It’s simultaneously forward-thinking and adherent to the past and its history has excruciatingly-quiet moments, unspeakably-loud episodes and incomparably-moving sceneries. The state’s museums attempt to preserve and summate this surprisingly vibrant history. Below are the 10 best Montana museums. Mr. Russell was the preeminent pioneer and documenter of Cowboy & Indian life in Montana. Arriving in the area in the late 1880s, Russell worked as a cowpoke and constructed by hand the cabin that became his home, studio, and later, a gallery of his works. In addition to the historic cabin, the museum encompasses a 70,000-square foot space containing 13,000+ objects. The viewable pieces, available gifts and collectibles, and personal tours make this the epitomic Montanan Western museum. This one-of-a-kind and free gallery collects an impressive representation of robotics, transportation and communication technologies, past and present. Nerds and historians unite with pieces including Civil War tech and telegrams, an authentic Apple I donated by Steve Wozniak and a prop from “The Terminator.” Started in 1990, the ACRM is renowned both for its chosen exhibition subjects and its individual pieces. Do not miss the guidance system from an Apollo spacecraft, nor an accurate reconstruction of the Antikythera Mechanism, the “first computer,” circa 80BCE. Established in 1957 by a Butte doctor in association with Montana State University, the MOTR is an iconic conflagration of Native American and Montanan history, paleontology and archaeology. The complex is home to the Taylor Planetarium and Siebel Dinosaur Complex, possessing one of the world’s largest fossil collections. The museum is equally impressive and non-threatening, an entertaining and educational day for all. For children under 10, check out the Martin Children’s Discovery Center, bringing to life the story of Yellowstone Park. The proximity to Glacier National Park is reason enough to visit Kalispell. As the “Crown of the Continent,” the park is a natural gem worth any trip to the Inland Northwest. 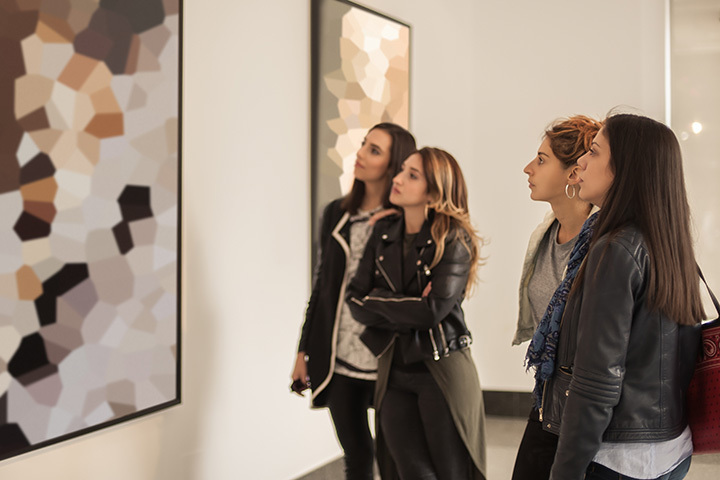 But the 8,000-square feet of art and artifacts found in the Hockaday makes the trip all the sweeter for art enthusiasts. The ideal merger of national park beauty and true-grit historical intrigue, the museum is about preserving the artistic legacy of Montana and GNP writ large. Come for a tour, visit the gift shop for prints, or take an art workshop. For travelers simply happening-upon the mining museum, a quick visit often becomes an all-day exploration. The destination was opened in 1963, just 20 years prior to the decline and eventual dissolution of mining in the region. But before its demise, Butte attracted the world as one of the most productive copper mines in the world. The site, the Orphan Girl Mine, is marked by the 100-foot headframe descending deep into the rock below. During the summer, guided underground tours are a particular highlight of the museum. The surrounding “town” of Hell Roarin' Gulch echoes the western lifestyle of centuries past and honors the over 2,500 people who lost their lives during its construction and operation. The Conrad family played an important role in extending manifest destiny into Montana. They settled, and helped others settle, the West. They earned their money as successful cattlemen, and then as influxes of travelers arrived via railroad, the Conrads transitioned into real estate and mining. During a tough pioneer era, the family possessed valuable foresight that many lacked—they enriched Montana and played a role in preserving the buffalo (establishing the National Bison Range Herd). The mansion is only available via guided tour, but the raw history in general and the retro-dress exhibit in particular definitely make it worth while. A collection of four national wildlife refuges, the Bison Range is a scenic expanse of western high prairie—true Big Sky country. It was established by Teddy Roosevelt in 1908, marking the first time federal funds were allotted to protect a specific species. The immense site itself is all about wildlife and scenery: The drive and encounters with animals are singular. Gas up your vehicle at the Moiese Mercantile near the front gate and settle-in for a cruise through living wilderness. As the “guardian of Montana’s memory,” the Montana Historical Society is the official state repository for records of permanent value. The museum is an impressive collection of fine art, archaeology, and it preserves the original Governor’s Mansion. A particularly intriguing aspect is its ideal presentation of Montana frontiersmen history. It’s a wonderful, state-funded representation of history and local art. Not all prisons are created equal. The Territorial Prison in Deer Lodge is historic for its particular harshness and its hodge-podge of inmates. The century-long operation welcomed its first incarcerate in 1871. Within the cold, stony fortress, prisoners adorned drab gray and followed a painted yellow line around the complex. Those who threatened escape wore concrete shoes and the occasional bribery scandal between inmate and guard exploded into riot. The walls still reverberate with stories and scandal, and tours of the prison give life to its long history. The Waldorf Astoria. The Plaza Hotel. The Moss Mansion. These architectural masterpieces were all designed by Henry Hardenbergh. And all have been featured on the silver screen. Simultaneously capitalizing upon and helping fuel the vibrancy of Billings at the time, the Moss family felt at the epicenter of the (western American) world. PB Moss wrote to his wife: “There is more happening in Billings, Montana, at midnight than at noon in Paris, Missouri.” The mansion embodies the developing west at the time: Beautifully antique yet surprisingly inventive and full of then-modern amenities. The guided tours bring one in intimate contact with the home and its century-worth of Montanan pioneering.